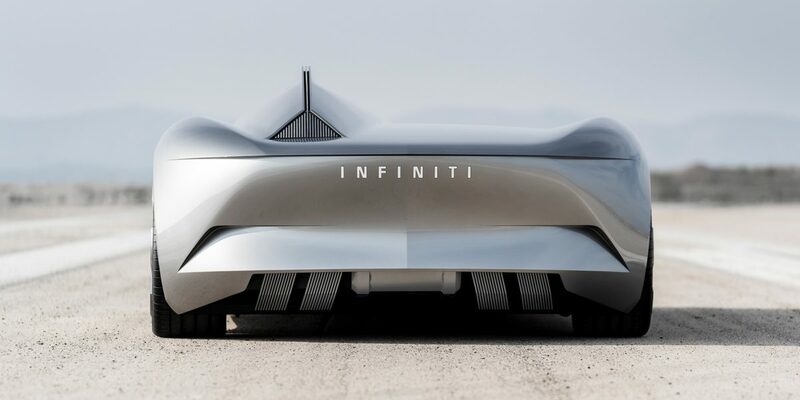 Prototype 10 shows our intent for future INFINITI performance — illustrating a dynamic fusion of our desire to electrify our cars, and the promise to deliver supreme driving satisfaction. 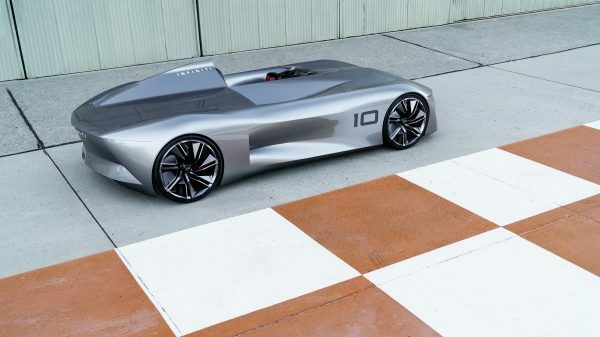 Taking its cue from high-performance early speedsters, Prototype 10 points to the delivery of exhilarating off-the-line acceleration and pulse-racing speeds in the smartest way possible. 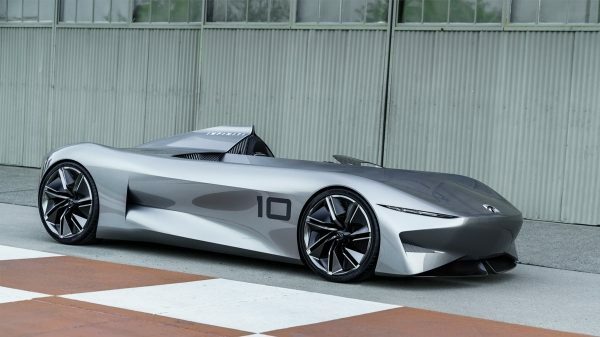 Demonstrating the possibilities of our future powertrain technologies, Prototype 10 will inspire new pure electric and e-POWER vehicles — harnessing the full potential of ultra-low emission technology. 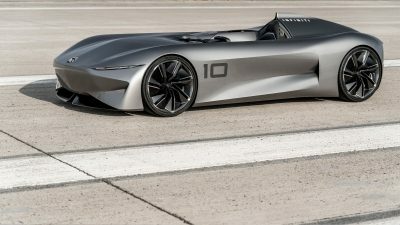 Punctuated by geometric lines, Prototype 10’s bodywork alludes to the sudden acceleration of an electrified powertrain, which can immediately deliver 100% of available torque with a push of the accelerator pedal. 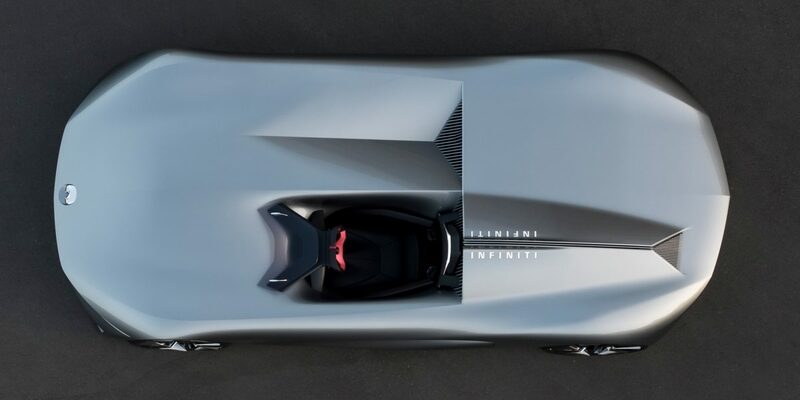 Prototype 10 imagines a stunning new form that telegraphs the performance benefits of advanced electrified powertrains with a more purposeful speedster configuration. 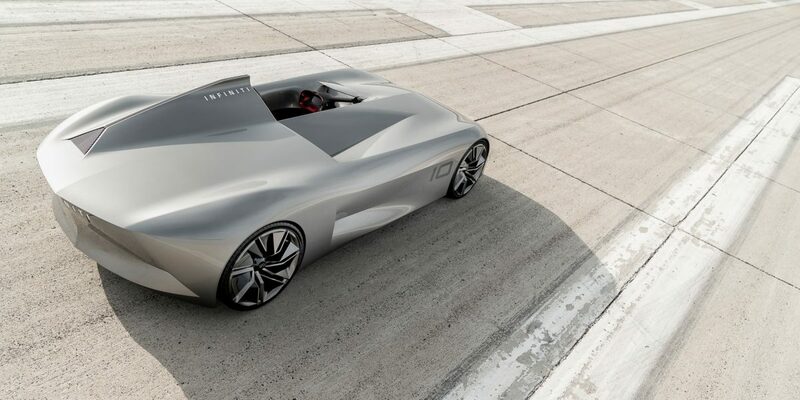 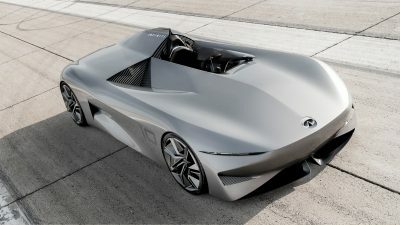 A bold representation of the way INFINITI vehicles may look in the future. 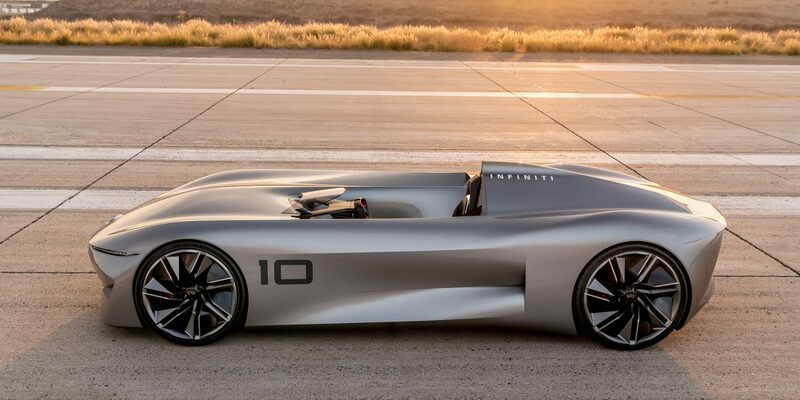 Prototype 10’s performance is expressed by its low speedster layout and confident proportions. 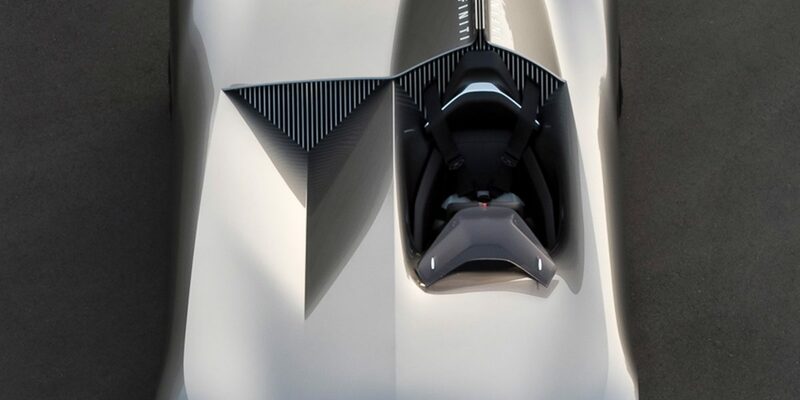 Its long bonnet and open cockpit are contrasted by a dramatic fin behind the driver’s seat. 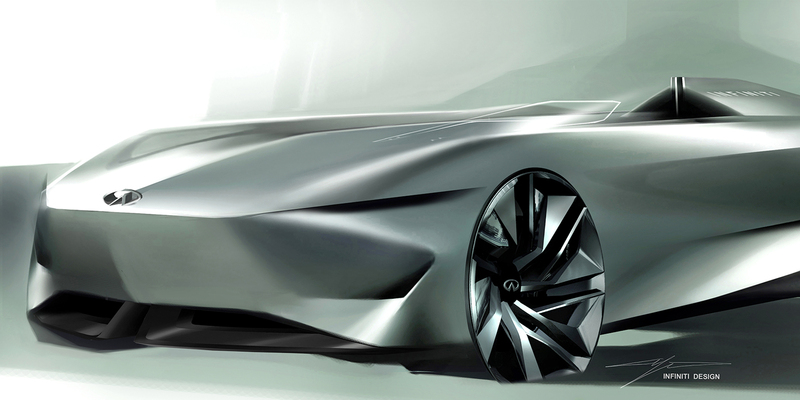 The concept’s design is characterized by clear, concise lines and ultra-modern shapes that accentuates its flowing bodywork. 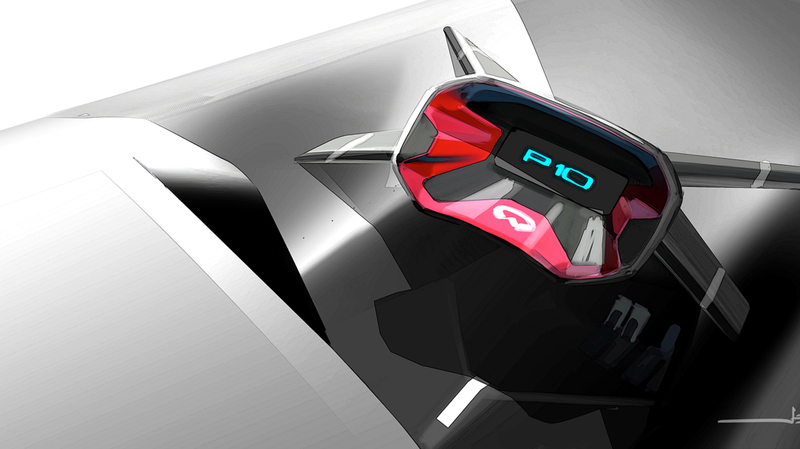 The idea of clean motoring is carried over in Prototype 10’s uncluttered, skyward-facing surfaces. 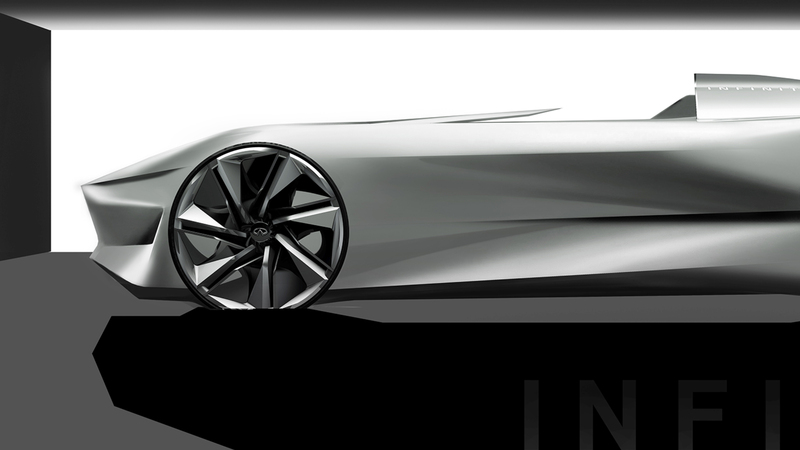 Simple, angular details create a strong visual link to the uninterrupted flow of electric propulsion. 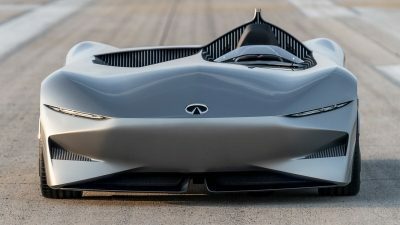 The single-seat (monoposto) race car-inspired cockpit represents the performance intent of all future electrified INFINITI models, with attention focused solely on the driver. 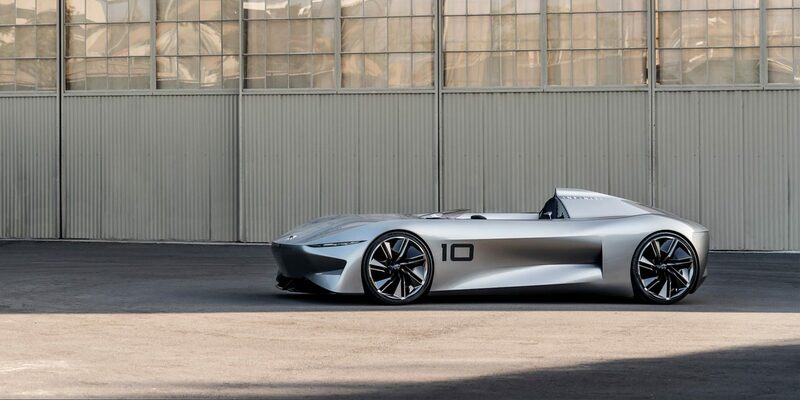 The spirit of early Californian speedsters meets the power of electrification. 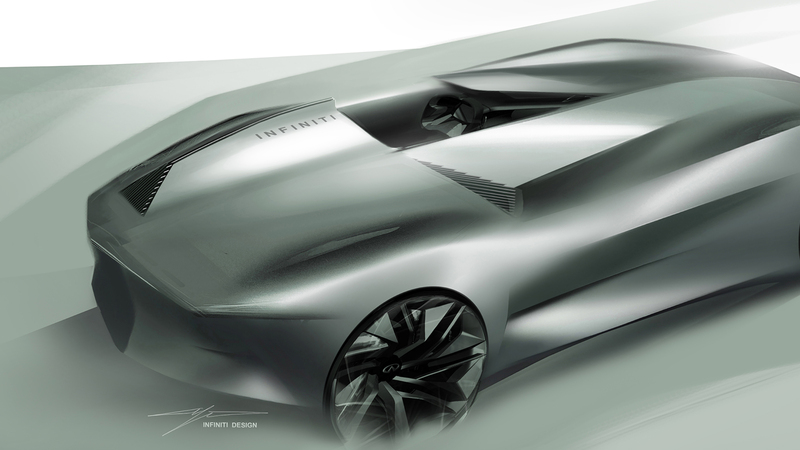 Driven by desire, our concept cars challenge conventional approaches to design and performance. 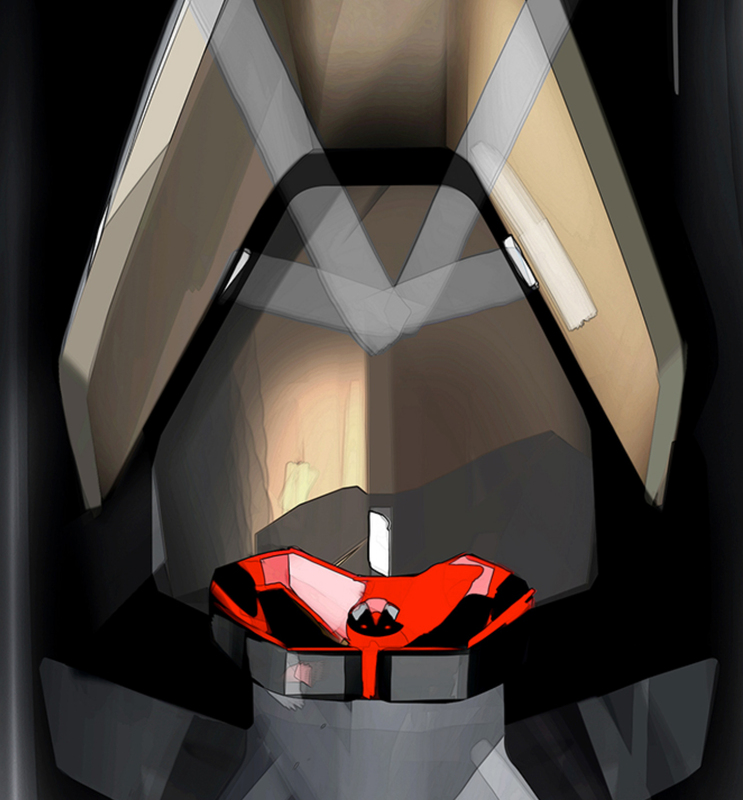 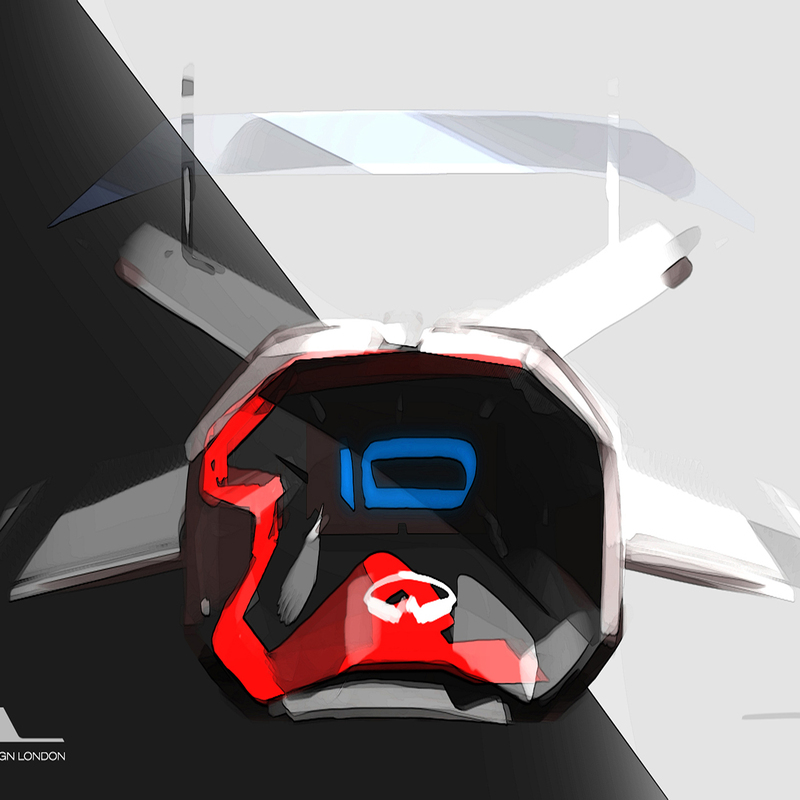 Take a look at the concept vehicles that preceded Prototype 10, and what we have planned for the future. 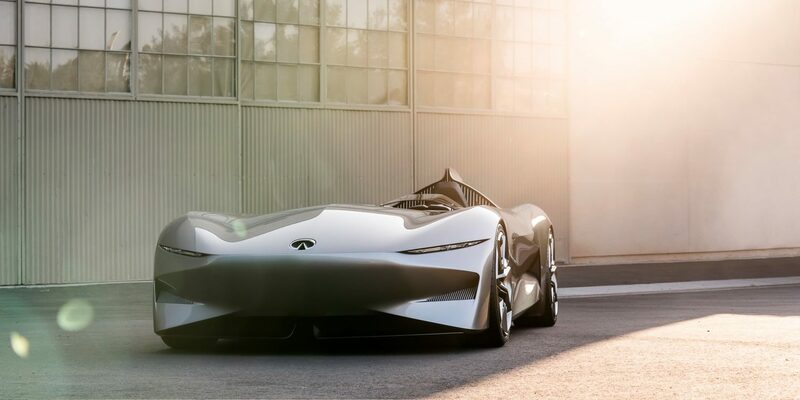 Our innovative mindset means we always strive to blend artistry and craftsmanship with the most advanced technology we can — designed to enhance your driving experience in its purest form.